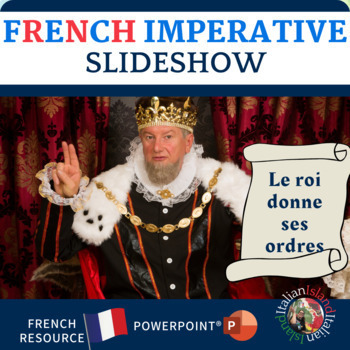 Imperative in French Practice: Le roi donne ses ordres! 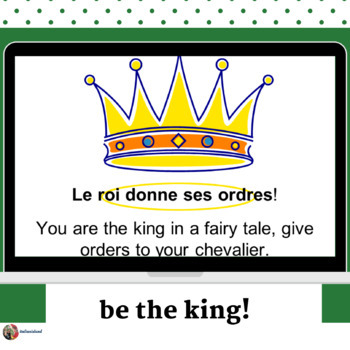 Have your students pretend to be the king as you practice using the imperative informal in French. 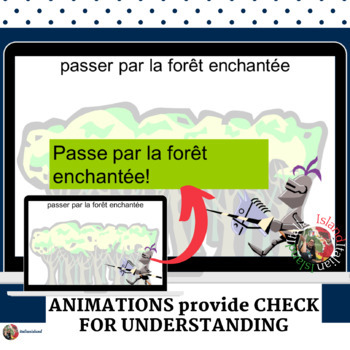 Each of the 13 slides depicts the brave knight completing a task. 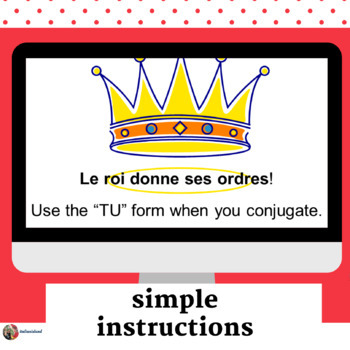 The slide shows the command in the infinitive form; have students give conjugated form and verify the response by activating the animation. This item is a paid digital download from my TpT store (http://www.teacherspayteachers.com/Store/Joyceanna-Dalessandro).As such, it is for use in one classroom only.This item is also bound by copyright laws and redistributing, editing, selling, or posting this item (or any part thereof) on the Internet are all strictly prohibited without first gaining permission from the author. Violations are subject to the penalties of the Digital Millennium Copyright Act.Please contact me if you wish to be granted special permissions!